Happy Wednesday everybody! 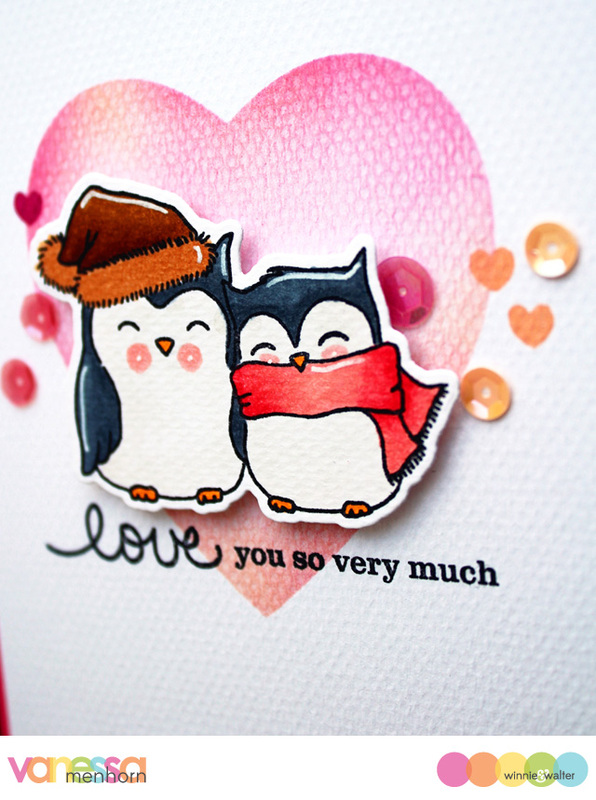 Vanessa here to share a cute love themed card with you all. First, I trimmed a panel of white cardstock slightly smaller than my pink card base. Then I die-cut the solid heart from Flawless Heart Cutaways from a scrap of paper and used the negative space as a mask for my panel. I applied pink and coral ink with an ink blending tool and removed the mask. Now I stamped the tiny heart from You've Got Love Mail with matching inks around the inked heart. I stamped the sentiment, combining You've Got Love Mail and LS Exclusives: So Tweet With Evelin T Designs and adhered the panel to the card base. 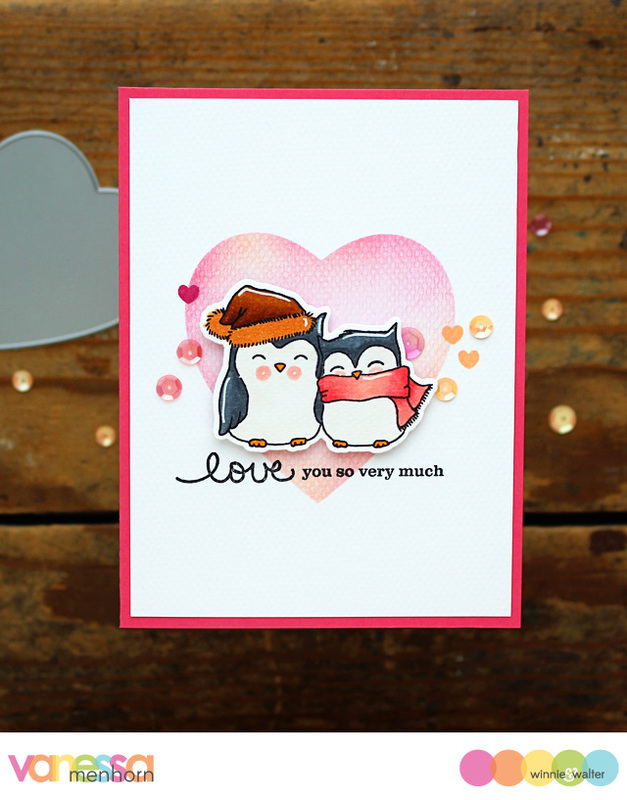 After I had stamped the owls onto cardstock, I colored them with Copics and die-cut them with the matching dies. Finally, I adhered the owls with foam tape and added matching sequins from Winnie's Sparkly Shaker Selection to the card. I hope you like today's idea! Thank you so much for stopping by!! Totally adorable! My Black Friday parcel finally made its way to Greece and arrived this morning, including these cuties. Cannot wait to start playing with them! Awww i love those lil owls too :) they are super cute and i love how you've used them in a non-holiday card. Thanks for the ideas! What better day to share a snuggle than Valentine's Day? Darling use of these sweet darlings, Vanessa ... do tell... what cardstock is this? Gorgeous texture!!! Oh my goodness this could not be any sweeter! So so adorable! This card is ADORABLE! love the textured cardstock and the sequins. Your card is so adorable. I love this stamp set.